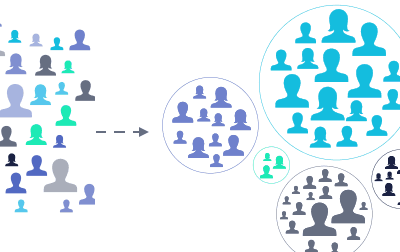 RFM (Recency, Frequency, Monetary) analysis is commonly used for customer segmentation, to split our users into types. For example, people who visit a website regularly but don’t buy much would be a high “frequency” but a low “monetary” visitor. This analysis is especially common in retail where we want to create a view of our customer types without drowning in all the transactional data. This page contains a comprehensive explanation and description. To compare them, we divide each metric into quintiles. If you are above the 80th percentile, your score is 5; if you are in the 60th to 80th percentile, your score is a 4 and so on. Notice that with 5x5x5 combinations, we have 125 possible combinations. However, in practice our data won’t necessarily contain every combination. Certain combination like 4-1-5 or 2-5-1 are very uncommon because generally you don’t have customers who are frequent visitors who don’t spend much and haven’t ordered regularly. Great! Now let’s remove the customer names, so we can just see counts by RFM category. Wait a minute… how did everyone get in 555? Unfortunately, this won’t work with table calculations like RANK_PERCENTILE. The issue is the view granularity. Since we haven’t broken it down by customer name, the calculations for percentiles all break. There’s only a single value for frequency now – the overall frequency – which is equal to the maximum, making it the 100th percentile. What to do? Generally, in Tableau, many formulas that can be done as a table calculation can be re-done as a level of detail calculation. Table calculations are limited to the granularity of the view – there is no way to override that or change an option. Since the view is broken down by customer, I can’t roll it back up to the level of the whole dataset. However, with a level of detail expression, we can bypass the level of the view and define an overall 80th percentile, 60th percentile, and so on. Table calculations are at the core of Tableau, and they solve many common calculation problems. 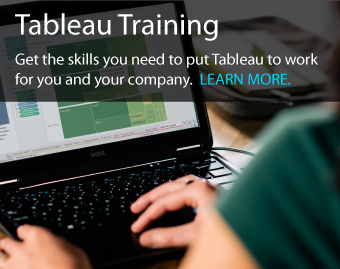 The most common calculations like running total, moving average, change from prior period, and Year-to-Date are available as “quick” table calculations, meaning Tableau will write the formula for you. But occasionally we run into situations like this where the table calculation doesn’t work. Enter the Level of Detail formula. Level of detail calculations were introduced in Tableau 9. They allow us to ignore filters or create formulas that aren’t dependent on dimensions in the view. The key to resolving this problem is the FIXED level of detail formula. In my experience, this is the most commonly used level of detail formula – see the Tableau documentation for a full explanation. I’ll re-do my approach with Level of Detail expressions. First, to get the number of items for each customer, I’ll use the FIXED expression with Customer Name. This guarantees that the count of items purchased is at the customer level. Regardless of what view I make – a summary by state, or zip code, or product subcategory – the Frequency is still calculated for each customer. Note this is a bit confusing in Tableau. PERCENTILE is an aggregation, like SUM(), MEDIAN(), COUNT() and so on. But RANK_PERCENTILE is a table calculation that is used on top of an aggregation. Table calculation and levels of detail can sometimes be combined, but in this case, we’ll keep them separate. After creating these for each of recency, frequency, and monetary, I need percentiles. 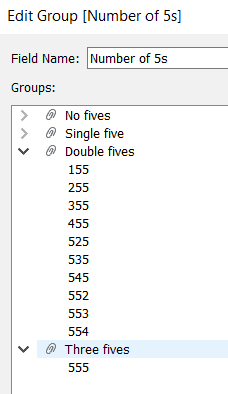 Each person needs to be assigned to group 1-5 for each value. Time for another calculated field. This ensures everyone is assigned to a “bin” for frequency. Notice I’ve made these text fields, so it will be easier to combine them, but they could just be numbers as well. 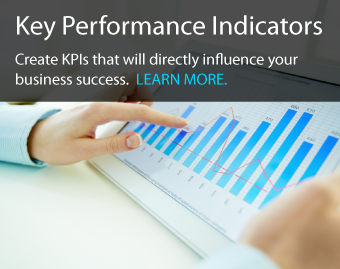 RFM values can be further grouped and boiled down – for example if you are an R of 1 or 2, and also an F of 1 or 2, you may be called a “hibernating” customer who is no longer engaged. The challenge for RFM is visualizing it. First, we have a lot of different categories – 110 of the 125 possible categories are present in our data. Secondly, there are three dimensions (R/F/M) and viewing anything in 3 dimensions is challenging. 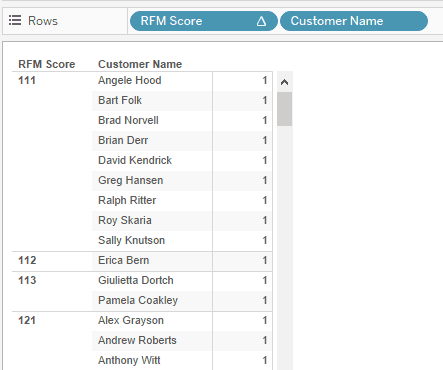 You can review two dashboards that summarize customers by RFM score here. The workbook is available for download as well from Tableau Public. To sum up, we’ve resolved the calculation of RFM scores by leveraging Level of Detail expressions. When you find yourself in a situation where table calculations are causing you problems, level of detail expressions or “LODs” are frequently the answer. Often this comes down to understanding how Tableau thinks. It’s not necessarily immediately obvious that PERCENTILE is an aggregation, but RANK_PERCENTILE is a table calculation. However this is the key to resolving the RFM calculation; combining PERCENTILE with a FIXED level of detail expression. Essentially, we need data at two levels at once: the value for a single customer, and the value across all customers. Level of detail formulas allow us to work on both levels at the same time, while table calculations do not. Thank you for following along. 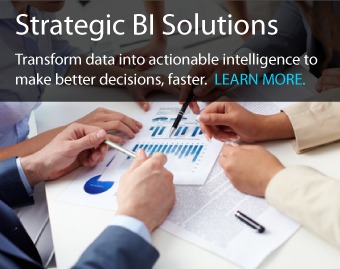 Please feel free to contact us to discuss RFM analysis in Tableau, or any other data question that may arise. Don’t Visualize What You Can’t See!